What makes minimalism so popular and charming is its utterly elegant simplicity. By focusing on a simple, understated design, minimalism creates a home environment that exudes openness, serenity and tranquillity while also having sophisticated appeal. Owing to its enormous popularity, minimalism has earned a timeless status in interior design. It has even become an integral aspect of other interior styles, lending them its effortless beauty. 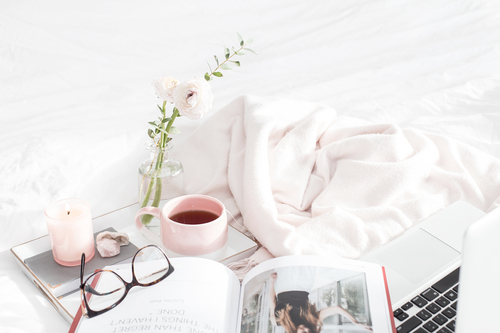 Decorating your home the minimalist way will not only provide you with an opportunity to start fresh, but also enable you to acquire a new lifestyle that abides by the rules of simplicity, moderation and peacefulness. It’s important to understand that designing your home from scratch requires a lot of time and effort, so you should let your personal minimalist style grow over time. You simply cannot throw everything away and start from an empty home. Instead, you can transform one room at a time and let the minimalist spirit spread through your home gradually. One of the first steps towards a minimalist design is decluttering your space. You need to start thinking about removing clutter from your home the moment you embrace minimalism. However, removing just the visual clutter isn’t enough. For a true minimalist vibe, you need to keep everything neatly organised and arranged, including your storage units. You shouldn’t hide clutter behind closed doors, but take some time to remove every single item that you don’t need. This may be the most difficult steps, but it’s definitely a crucial one. By completing it, you’ll be able to start fresh and create a clean base that will give your home a truly minimalist character. Once again, decluttering room by room might be the most efficient way and don’t expect that you’ll be able to complete the entire decluttering process in a single day. In addition, you shouldn’t be sentimental about the personal items you come across – if you haven’t used them in a year, you won’t use them at all, so get rid of them. If your home features the open floor layout, you’ll be able to create a truly minimalist vibe. Your space should be open and airy, featuring an uninterrupted flow. Even if you don’t have the open floor layout, you can create a similar effect by rearranging your furniture and finding the best layout for each room. It’s important that you organise your space properly, which will enhance its functionality. You shouldn’t push your furniture completely against the walls because your space will seem cramped and cluttered. In addition, make sure to keep your surfaces clear – just one or two accent details will be enough for visual interest. A simple, understated colour scheme is one of the most distinctive features of minimalism. Not only does such a palette create a subdued look, but it also allows other design elements to stand out against a neutral backdrop. You should choose neutral shades or pastel colours for a minimalist vibe. 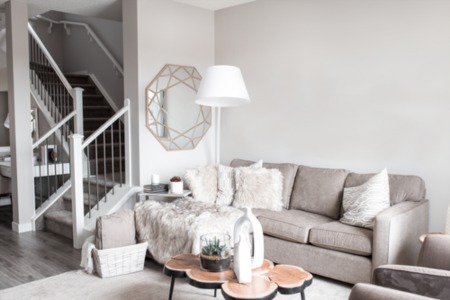 White, off-white or soft grey are great choices for your wall colour because they will fill your home with an airy, fresh and clean atmosphere. In addition, they will work well with any other design element, creating a cohesive, harmonious look. Black can also be used in minimalist spaces, but it’s typically used for accessories and accent details. Of course, you can also add a pop of bold colours as long as you do so in moderation. When you start decorating your bathroom, you should aim for a simple, yet soothing look typical of tranquil spa resorts. A Zen-inspired atmosphere permeates minimalist bathrooms, inviting you to relax and let peacefulness take over. Thus, you should focus on implementing several important elements in your minimalist bathroom. Subtle, adjustable lighting will help you set the mood while a neutral colour scheme will add a sense of serenity. However, the key element in any bathroom, especially in home spas, is a lovely tub. Adding a tub to your bathroom will not only create a true spa-like ambience, but it will also introduce a beautiful focal point to your minimalist oasis. Don’t worry if you have a tiny bathroom because there are elegant yet small baths that can fit perfectly in any bathroom layout. By going with a beautiful bathtub with clean, simple lines, you’ll create a spa-inspired minimalist bathroom retreat that exudes effortless beauty. You’ll also be able to enjoy soothing bubble baths as you take in the feeling of tranquillity that a minimalist bathroom brings. Wood is the perfect material for a minimalist home. 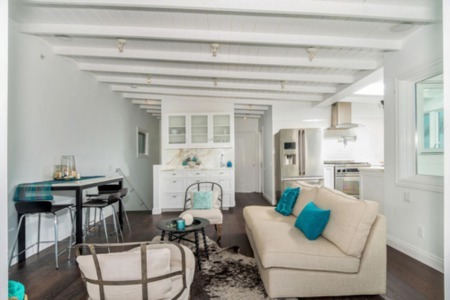 Not only will it dominate your space with its texture, but it will also create a sense of balance by contrasting subtle, slightly cold neutral shades with its warm tones. Whether you go with dark or pale wood, you’ll still fill your home with a feeling of warmth and cosiness. Hardwood floors will go perfectly with white or grey walls while wooden shelve, tables, chairs and other elements will create a subtle, yet impactful contrast against the backdrop. In addition, the natural patina of wood will help you accentuate texture in your minimalist home. Since a minimalist home design focuses on simplicity, neutrality and moderation, there are plenty of opportunities to create visual interest in your space, and layering your textiles is just the perfect one. By using plenty of cosy materials in your home for covers, area rugs, throw cushions and sheets, you’ll be able to create a deep, rich look, yet still avoid clutter and fussiness. You can add a faux sheepskin rug and set it against your simple armchair for instant warmth. Casually placing a cover on your sofa will also add a sense of richness without disrupting the atmosphere of minimalism. This will help you warm and cosy up your minimalist home that might seem a bit sterile and cold without such embellishments. Although you’ve decided to welcome minimalism into your home, you can still implement stylish patterns into your home. However, you should choose simple, minimalist patterns that won’t disrupt visual balance in your haven. Geometric shapes and abstract motifs can be used for your furniture, area rugs, curtains and other elements as long as you still create understated appeal. Small-scale patterns will help you spice up your minimalist home décor without creating an overbearing look. Houseplants are the perfect embellishment for a minimalist home. They will fill your space with fresh air, a positive atmosphere and a sense of openness. Lovely plants will also make your home more enjoyable, taking away that slightly sterile look of minimalism. Furthermore, by introducing a lot of plants to your home, you’ll also create a striking contrast between your simple minimalist colour scheme and their vibrant green hue. The green colour of plants will truly energise your space, filling it with a calming natural vibe. Replacing your hardware is one of the most effective ways to introduce a sense of novelty to your home. In addition, if your space features faucets, knobs, pulls and other details with an antique, intricate design, you should definitely change them. Instead, you should go with a simple, modern design with clean lines and no unnecessary ornamentations. This is also a great opportunity to try out new finishes and pick one that goes perfectly with your minimalist home décor. For instance, a matte black finish is a great choice for a minimalist space because it will create a contrasting, yet subdued look. You can also experiment with other finishes, such as chrome, nickel, stainless steel, etc., but make sure that they fit into the general minimalist design of your home. With plenty of storage solutions, you’ll be able to keep clutter at bay, open up your space and elevate your home décor. Of course, you shouldn’t go overboard with storage unit either, but introduce just enough to keep your space functional and open. You can choose furniture with hidden compartments or use your wall space by placing simple, yet stylish floating shelves. Built-in shelves are also a practical choice for organising your home. However, keep in mind that you need to keep those storage compartments and units neatly arranged even if they have doors. Only then will you be able to capture the true spirit of minimalism in your home. Just because you’ve chosen minimalism for your home, it doesn’t mean that you can’t create an atmosphere of authenticity in your sanctuary. By opting for unique decorations, you’ll be able to create visual interest in your home while also giving it your personal touch. From inspiring paintings to a statement chair in a bold colour, there are plenty of interesting options to spice up your minimalist home décor. 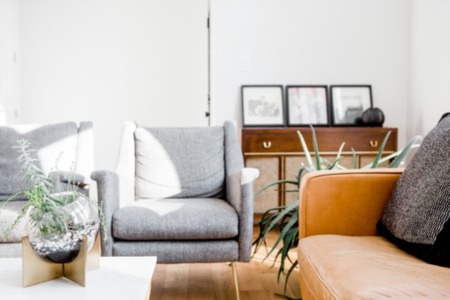 Designing your home the minimalist way will help you create an atmosphere of true elegance that is reflected in simplicity, moderation and hand-picked decorations.